Our daily habits — when we wake up, how we get to work, what we like to watch when we get home — are being tracked by dozens of interconnected systems, from cell carriers to traffic cameras. Together, they could form a picture of your day in disturbingly high fidelity. It's not just high-priority targets and would-be terrorists that leave a digital trail as they go about their business — millions of Americans each produce gigabytes of data associated with themselves just by walking down the street, browsing the Internet, and using their mobile phone. PRISM and XKeyscore may be in the news, but we've been tracked by other means for a long time. As a demonstration, TODAY followed NBC News producer Robin Oelkers during a normal weekday, noting the many times when his ordinary actions placed him on the grid. It began as soon as he woke up, checking emails and Facebook on his phone or laptop while getting ready for work — any number of servers took note that his account began a session between 7:30 and 8 a.m.
By logging in with his home Internet connection, Robin's IP address and its location are also automatically recorded at any site he uses. 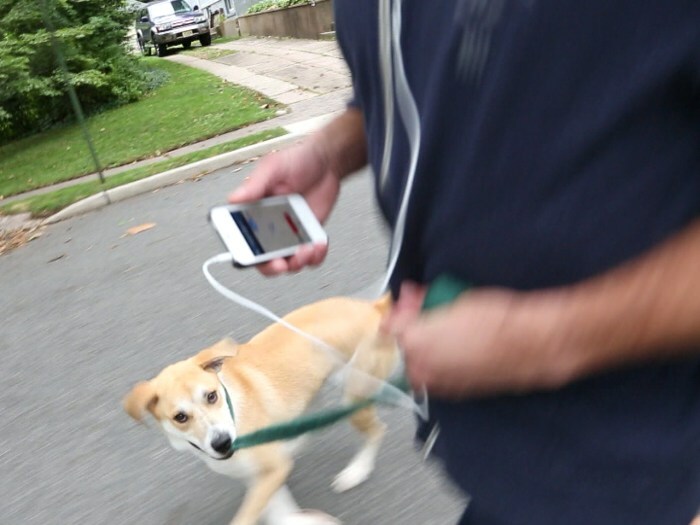 NBC producer Robin Oelkers walks his dog while on his iPhone, which, said our expert, is "basically a tracking device." Meanwhile, in order to have a signal, his phone must be in contact with at least one cell tower, but may be monitored by several in case as he begins to move. These towers can be used to calculate his position to within a city block or two. "Your mobile phone is basically a tracking device," said Nick Thompson, editor of NewYorker.com, in an interview that aired Thursday. "(It's) taking information about where you are, and sending it to lots and lots of companies." When it comes to tracking, you don't have to log in via a Web browser or set up your phone a certain way to tell the world to start following your trail. Recently, Apple was caught keeping records of every wireless network iPhones encountered. And several phone makers were found in 2012 to be including a secret back door on their phones capable of reporting every touch, every byte, and every conversation to anyone with the right software. Leaving the house, Robin enters the view of the public, and therefore the view of any number of traffic and security cameras. Many of these cameras will passively record his license plate, using special software to convert the image into numbers and letters. The make, model, and color of his car is also recorded in some situations. Robin's GPS tracks his position constantly. 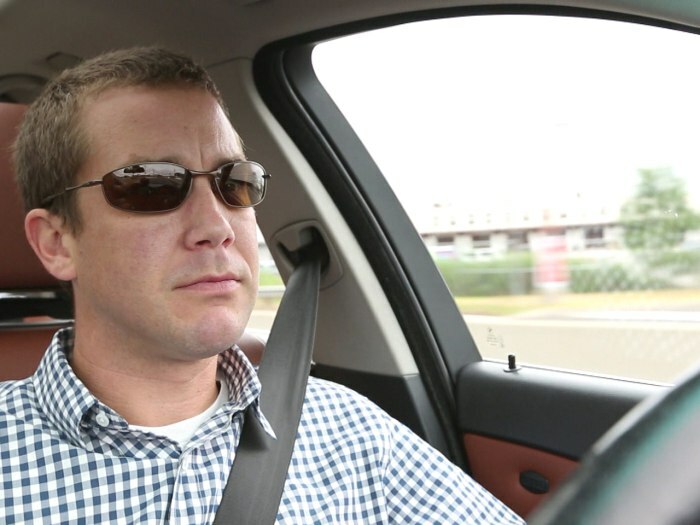 Other cameras capture his face and appearance, associating him with locations and routes. Such tools are invaluable to police tracking down a fugitive, but in the meantime Robin's face and license may be stored for days, years, or even indefinitely, depending on local laws or business practices. Of course, all this indirect surveillance is redundant when Robin's car has been tracking his position constantly with its GPS system. Depending on how new the car is, that route information might be backed up to the cloud for easy retrieval, or even collated (anonymously) with other cars' paths to help analyze traffic patterns. After parking (in view of several cameras), Robin may stop by Starbucks to grab a coffee. Swiping his rewards card, he adds this purchase to a long list of data points describing his preferences and shopping habits. Such data may be kept internal at Starbucks for inventory and promotional purposes. 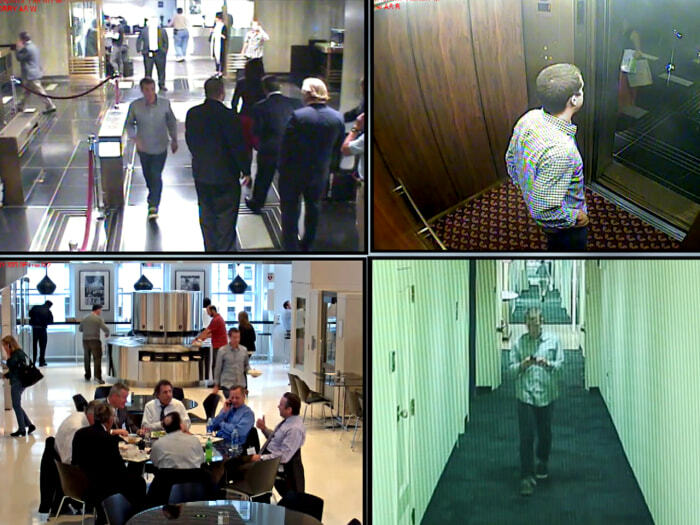 In the office, Robin is on surveillance cameras wherever he goes. At work, he mixes his daily duties on the computer with a bit of personal browsing. Even though they may be inconsequential to his work, the traffic logs are saved, and a lawsuit or internal complaint could make them relevant in a heartbeat. "The company can not only see it, but they probably store that," said Thompson. "They probably store it for legal reasons for a long period of time." 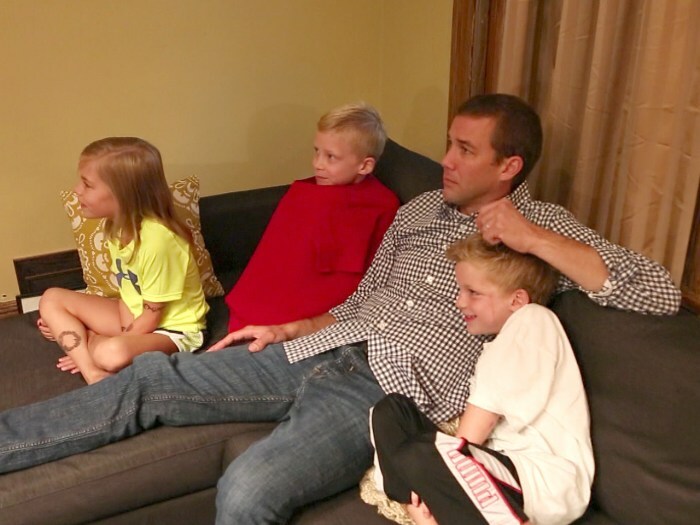 Back at home, Robin relaxes on the couch to watch a movie with the kids. Somewhere, whether he's using a cable box or a TiVo or an Apple TV, some server takes note that he has selected another episode of a certain show, while others sit in his queue unwatched. His personal profile is updated and recommended shows changed. And his viewing habits, while tracked separately, are added to those of others for the streaming service's reports and feedback. What can you do about all this tracking? For cellphone stuff, information must be sent if you want your phone and apps to work. But you can learn about your local laws regarding how long such data is kept and under what circumstances it can be requested. When using the Web, you can use your browser's Do Not Track option (also called "privacy" or "incognito" mode) and opt to use secure HTTPS versions of sites such as Facebook and Gmail. You can even install some basic privacy software like HTTPS Everywhere and Ghostery, to further minimize your trail's inevitable breadcrumbs. Even back at home, Robin (with his kids) is being tracked, via his Netflix choices. When you're on the move, make sure GPS and Wi-Fi are only on when you need them to be. (As an added bonus, this saves cellphone battery life.) And check the options screens of your most-used apps to see if there's anything fishy you should be opting out of. Out on the road, avoiding traffic cams is pretty much impossible (though it doesn't hurt to know what they look like and where they are.) When shopping, using cash and avoiding rewards cards and other incentive programs will keep you off of the marketer's grids (but often at a cost of a few bucks per shopping trip). As for enjoying the online on-demand movies and music that have become so convenient, you will have to submit to some form of tracking, though be reasonable and avoid, say, the Facebook sharing options on your Spotify or Netflix streams. Also, using a service like MaskMe would let you hide your real name, email and credit card from prying eyes, but not without some mild inconvenience. The best thing to do is to be vigilant, and recognize all the ways increasingly shadowy marketers and government agencies are keeping their eye on you — you know, just in case. More information, such as congress members to contact or resources to tap can be found at, among other places, the Electronic Frontier Foundation or ACLU's DotRights. Devin Coldewey is a contributing writer for NBC News Digital. His personal website is coldewey.cc.